A case has been registered by the police against a man who has allegedly given triple talaq to his wife on a phone call due to an issue over dowry. 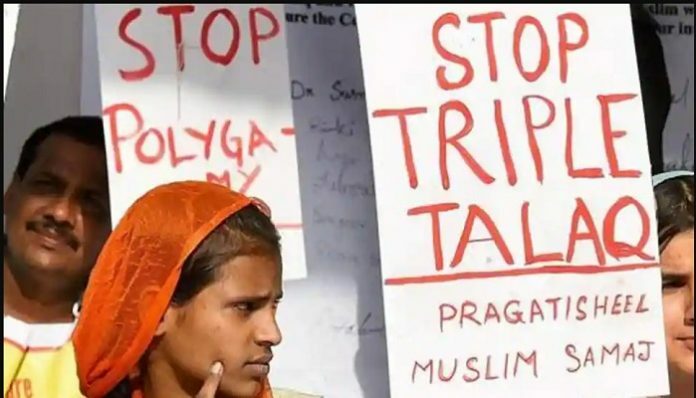 The police have stated that the accused is currently residing in Saudi Arabia who has pronounced triple talaq to his wife residing in Uttar Pradesh over the phone. The Superintendent of Police has stated that the accused pronounced triple talaq to his wife on September 10, 2018 over the phone when the family of the wife denied fulfilling his demand for dowry. In connection to this, the police have registered a First Information Report in Ruphaideeha police station in Uttar Pradesh against the accused, his mother and his sister on the basis of the complaint made by the family of the victim. The family of the 20-year-old victim has alleged that her mother-in-law and sister-in-law had threatened her and had compelled her to leave the house. They have further alleged that the accused was demanding in dowry a motorcycle along with Rs. 50,000 which the family didn’t fulfill. The police have stated that the investigation in the case is going on. The incident has taken place after the Supreme Court had put a blanket ban on the practice of triple talaq leading to an ordinance criminalizing triple talaq being approved by the Union Cabinet and signed by the President Shri Ram Nath Kovind on September 19, 2018.